Llamas have their origins in the mountainous areas of South America. 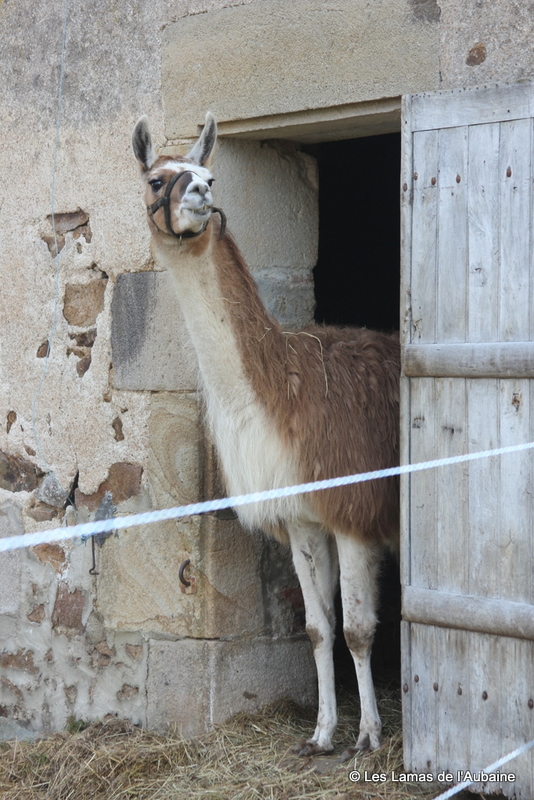 As you might expect, they are very hardy, and can withstand very cold weather! Nevertheless, they do appreciate shelter both from wind and rain. They also must have some shade from strong sun. 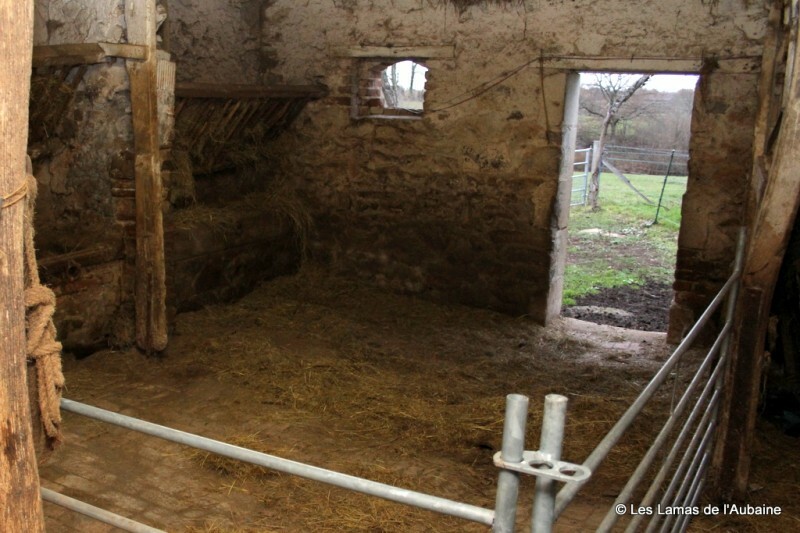 A non-breeding group could be kept in many places in France with no shelter except for trees. 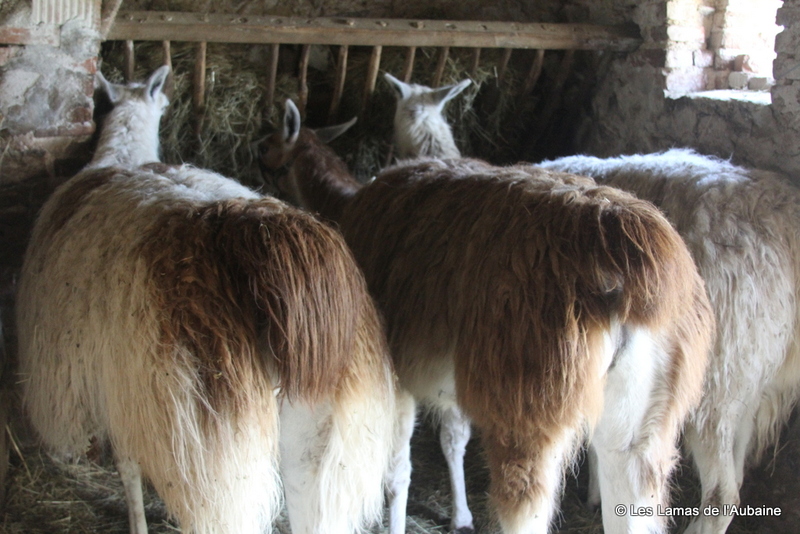 However, we have found it better to provide all our llamas with some covered space, where they can lie down, and where dry hay can be available during the colder months. In an open field, this sort of accommodation can be a simply constructed field shelter. 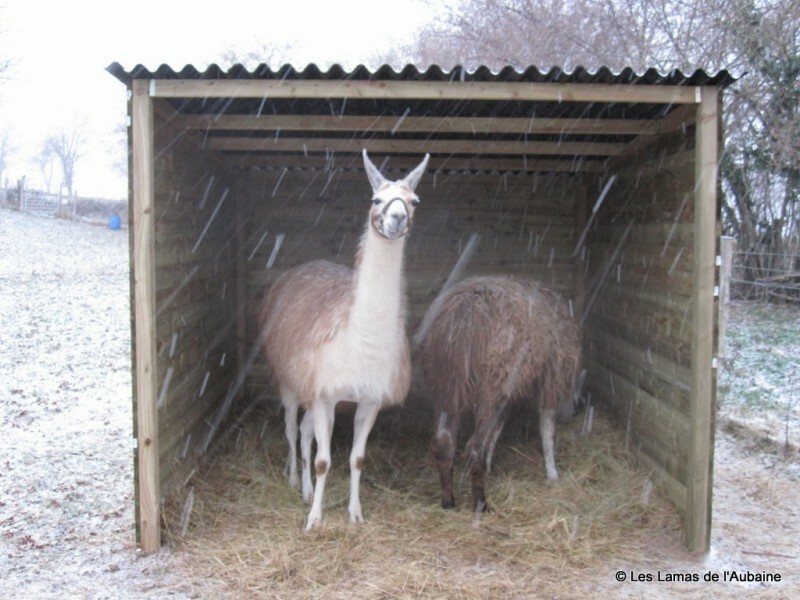 Ana and Pedro were very appreciative of their shelter when the snow came down! Alternatively, oubuildings and barns can be used as stable areas.